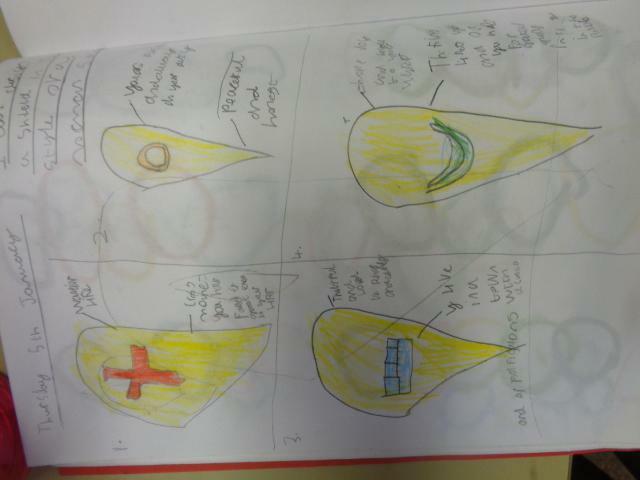 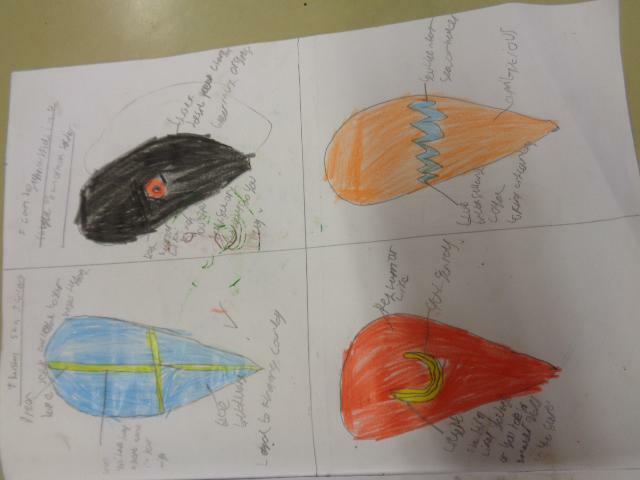 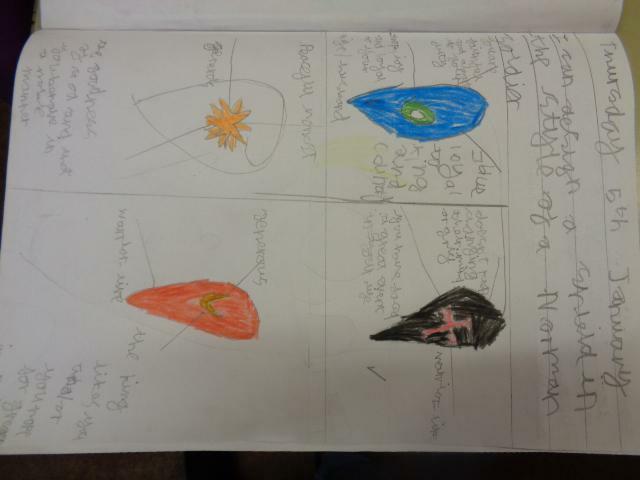 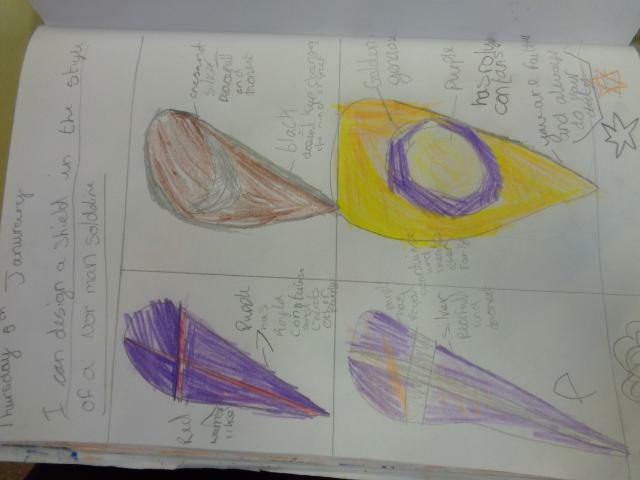 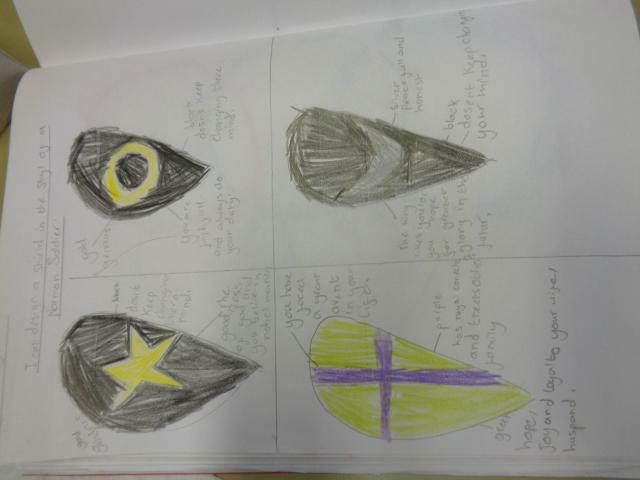 We looked at Norman shields and the designs they used. 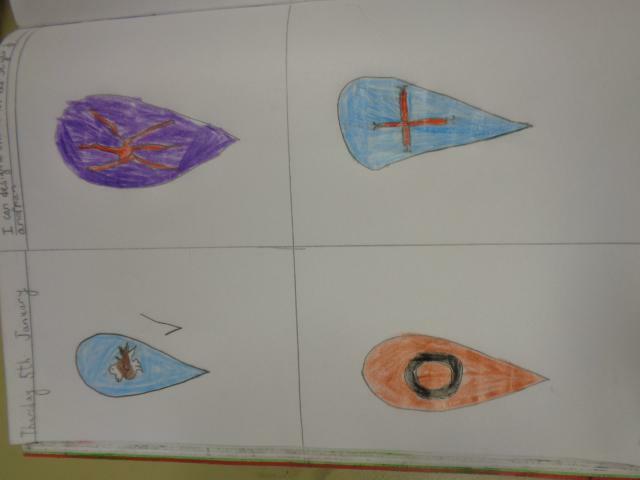 The colours and the symbols had different meanings. 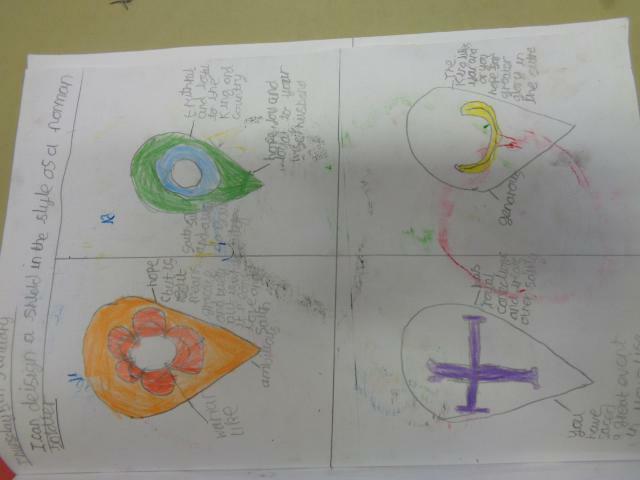 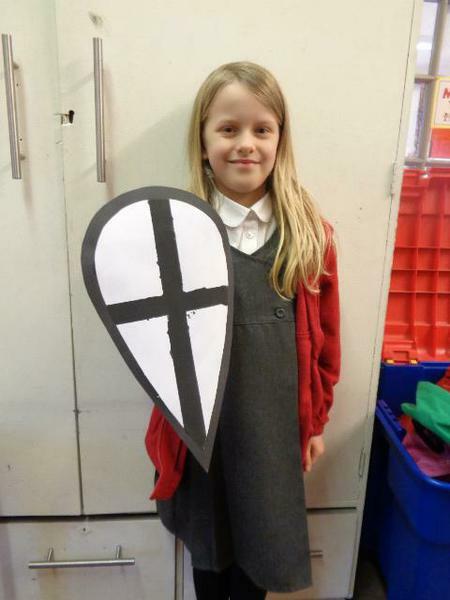 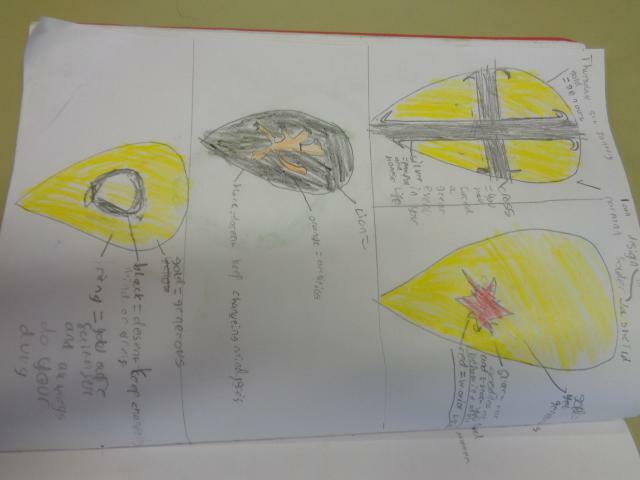 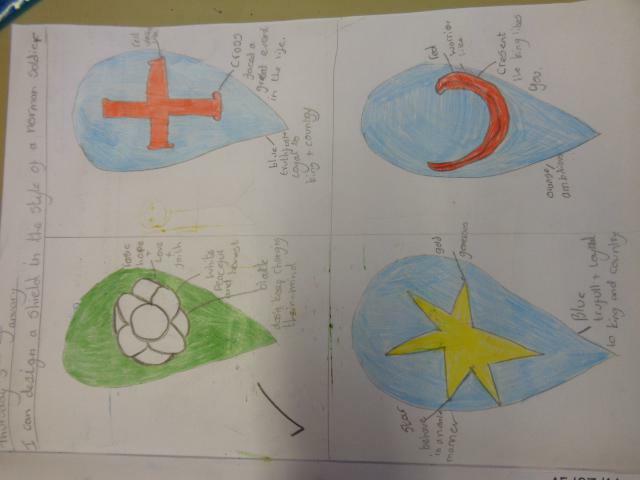 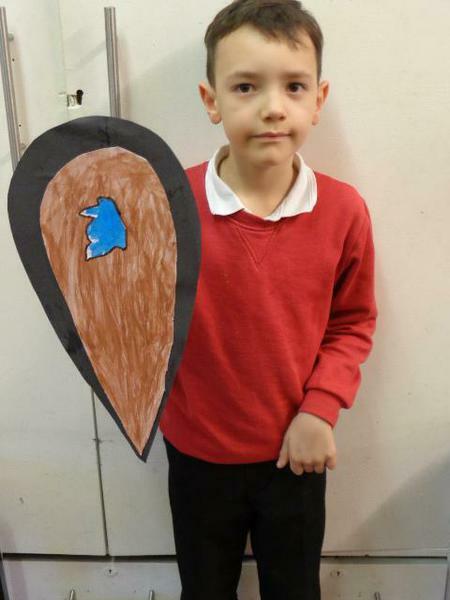 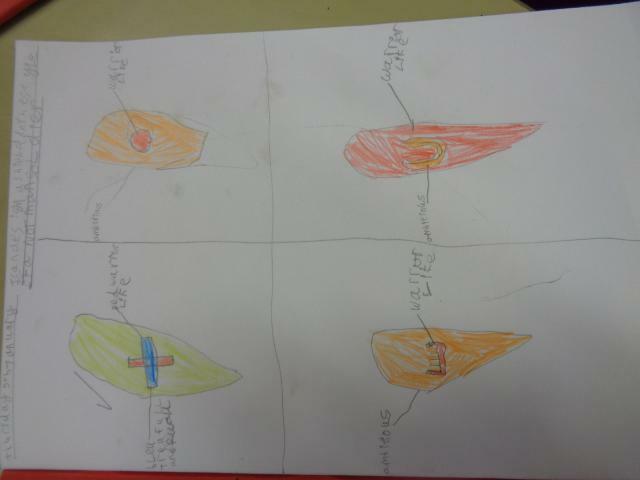 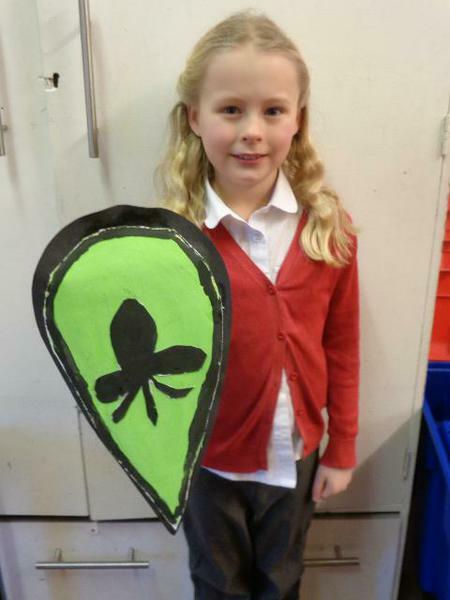 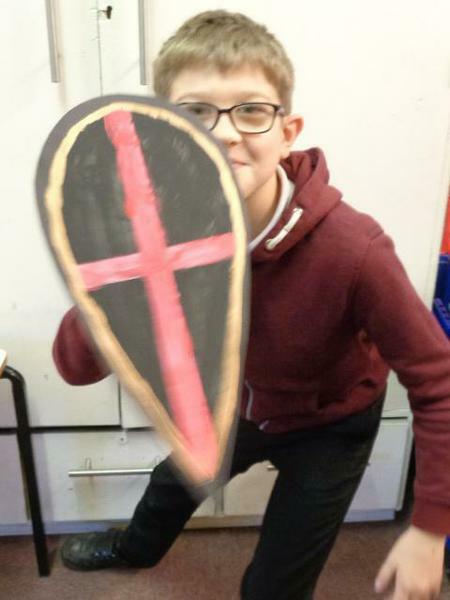 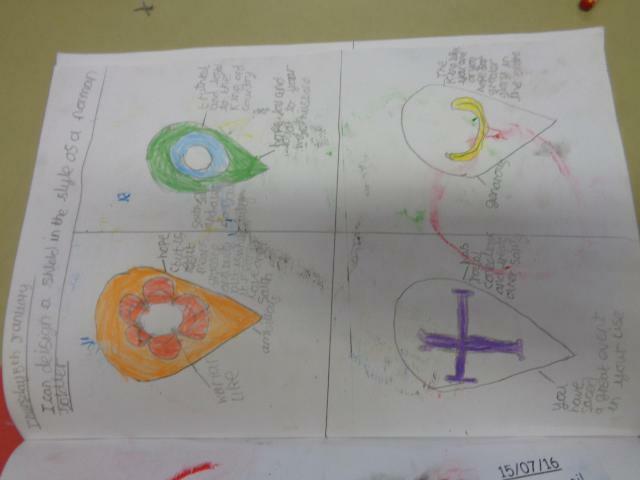 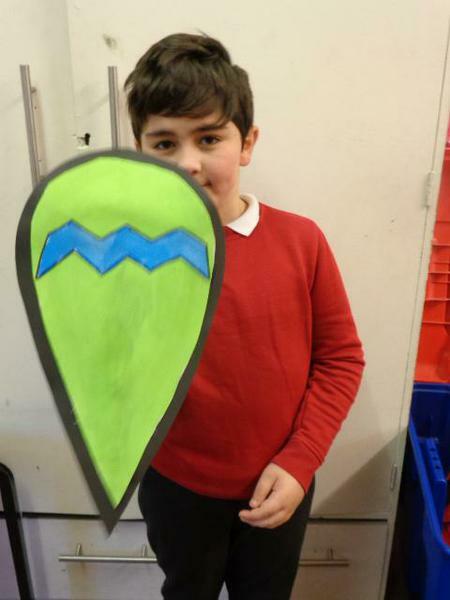 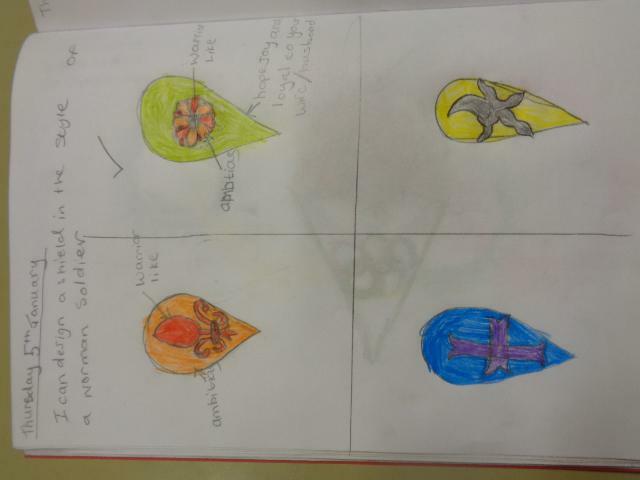 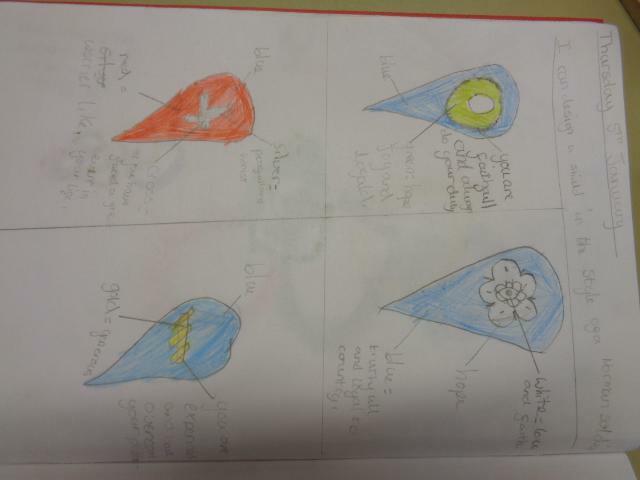 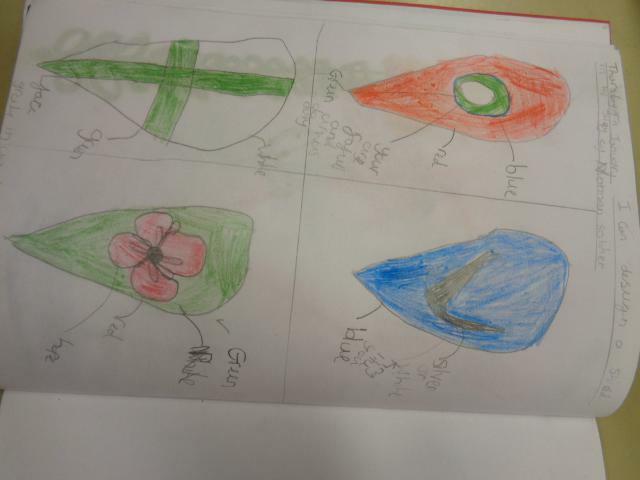 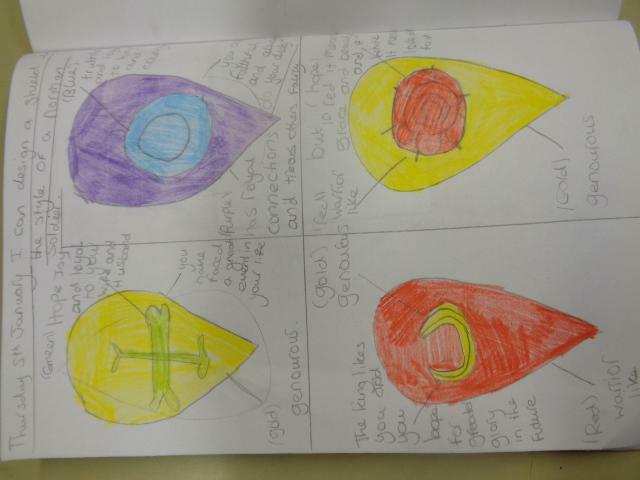 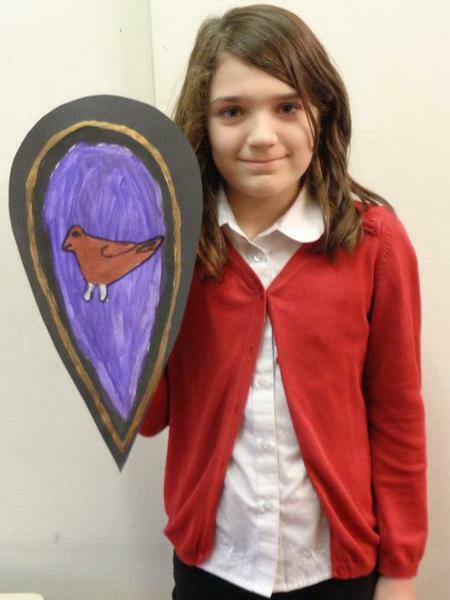 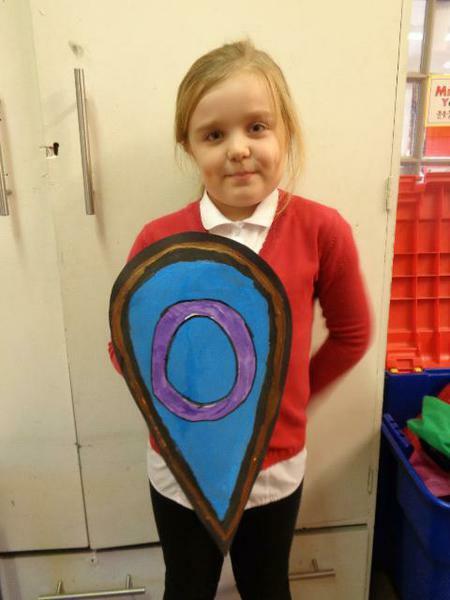 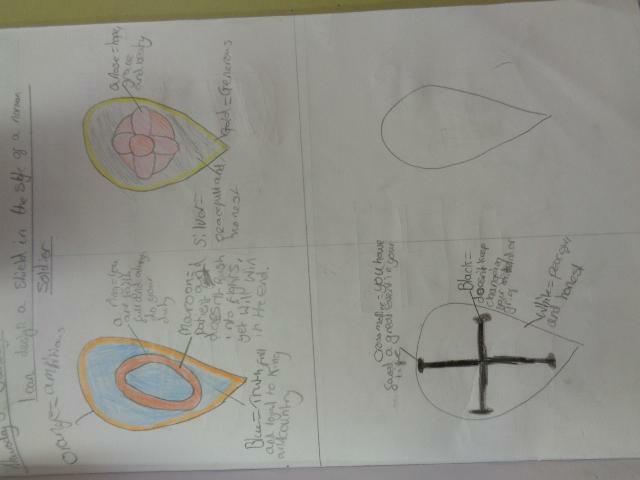 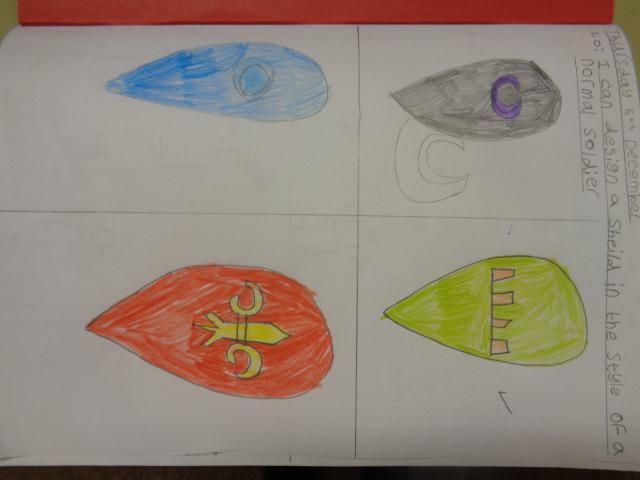 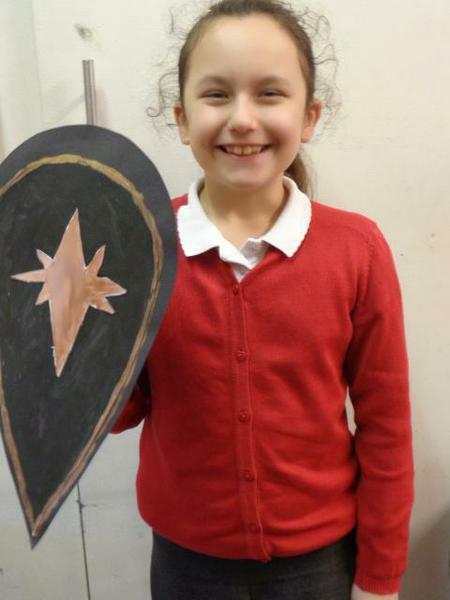 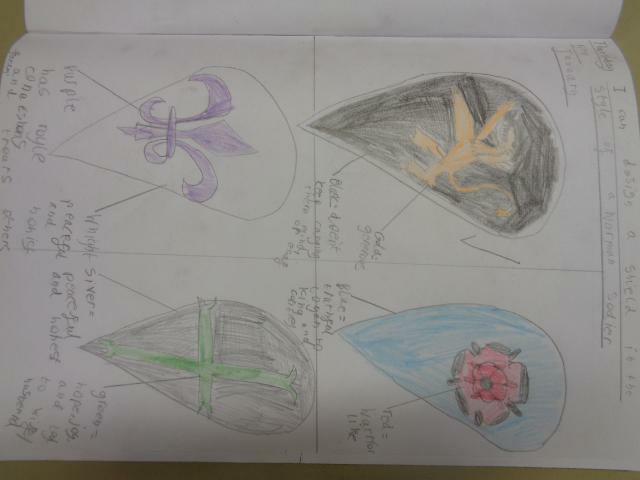 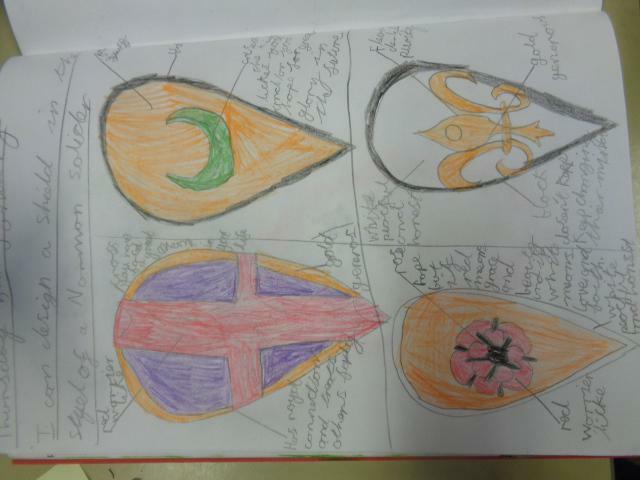 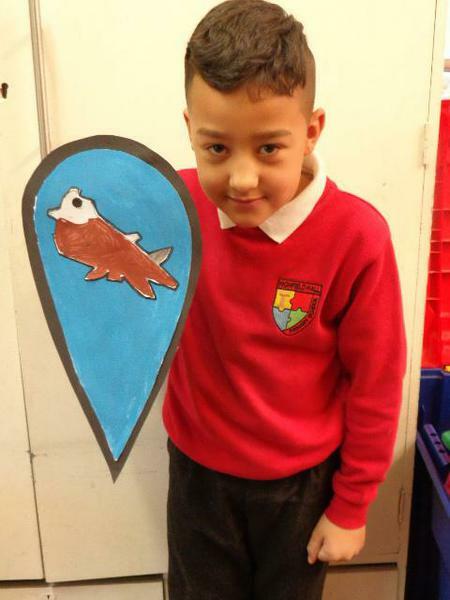 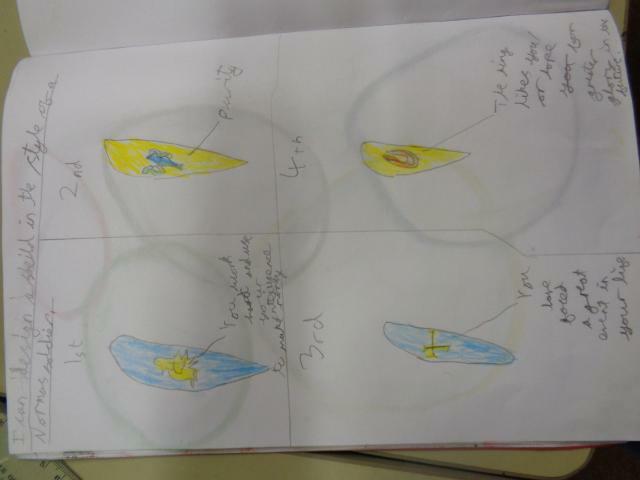 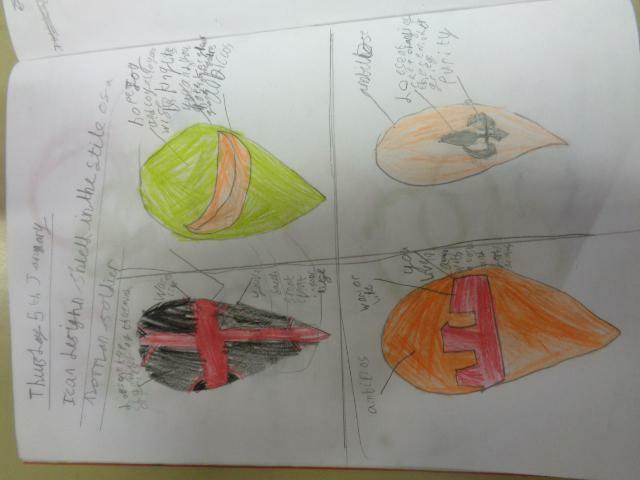 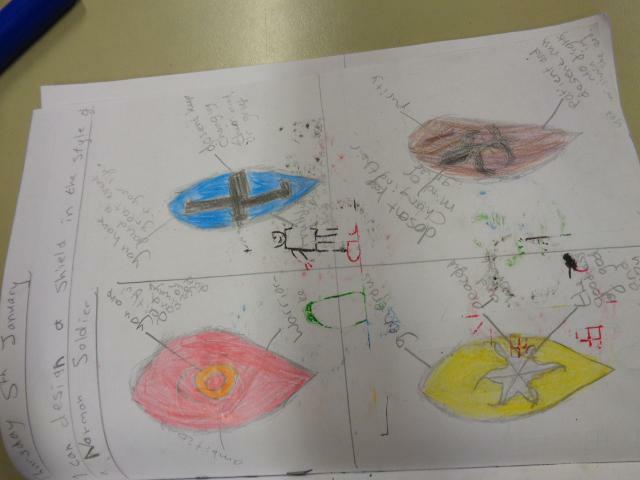 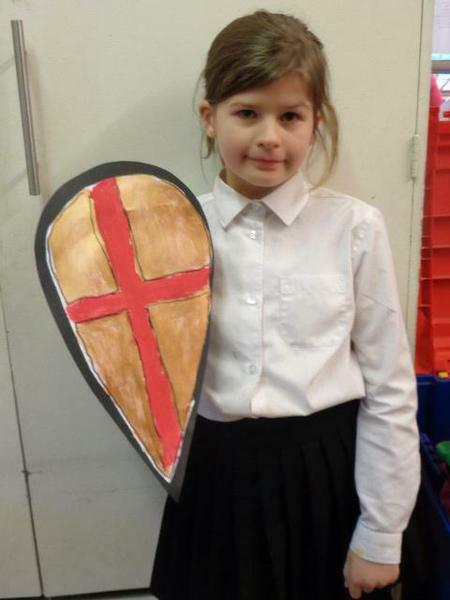 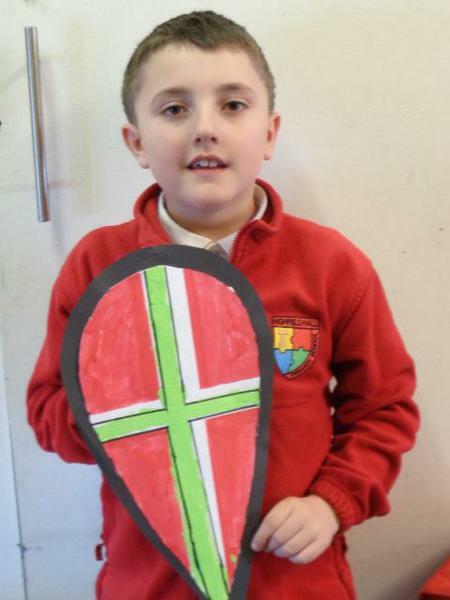 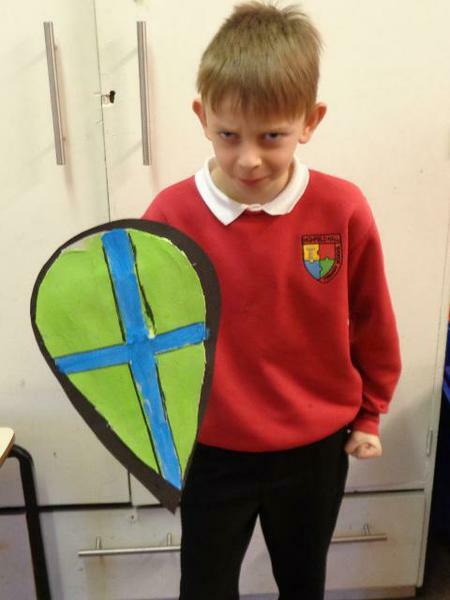 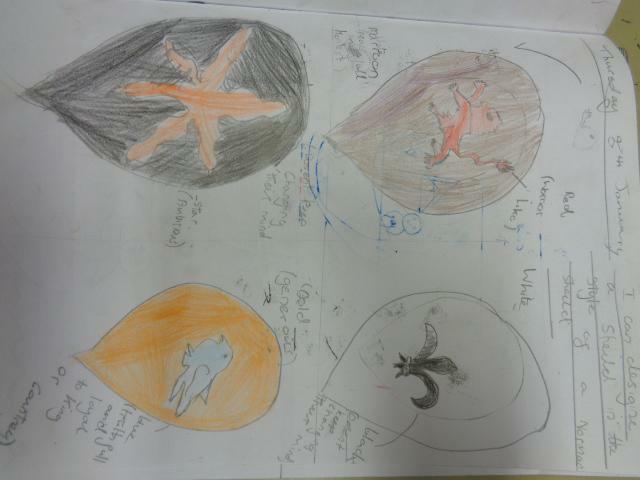 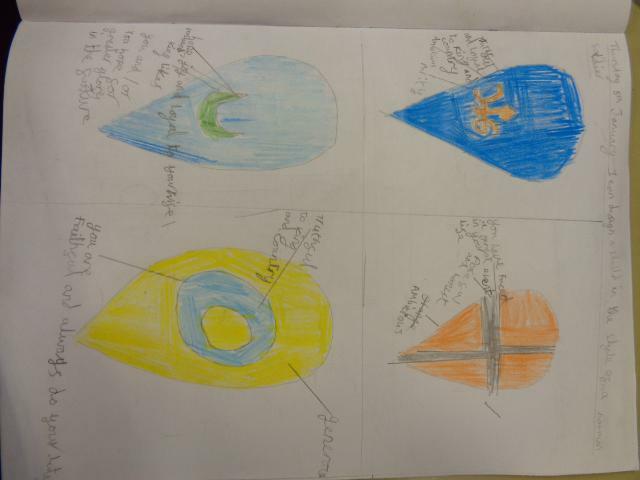 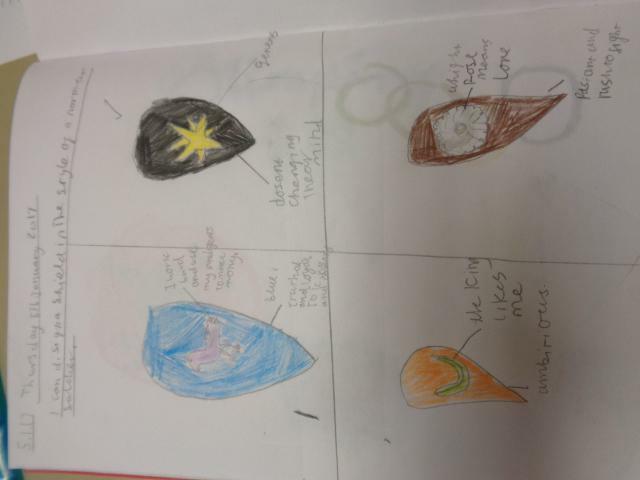 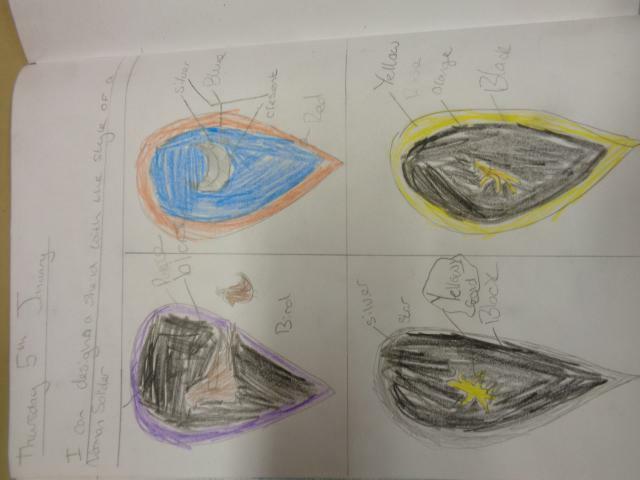 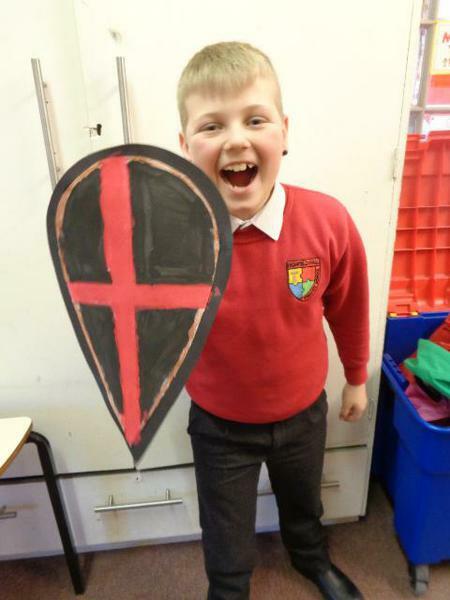 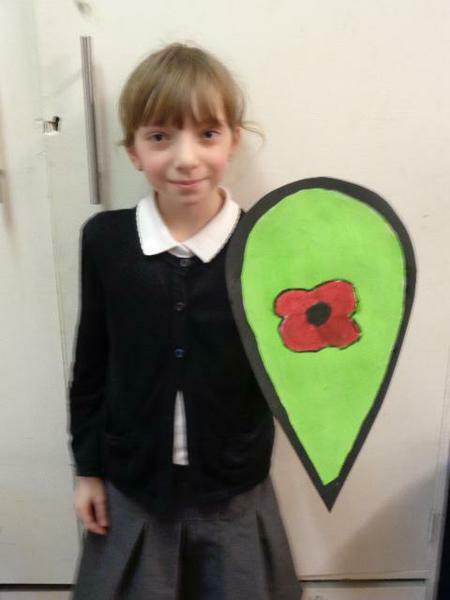 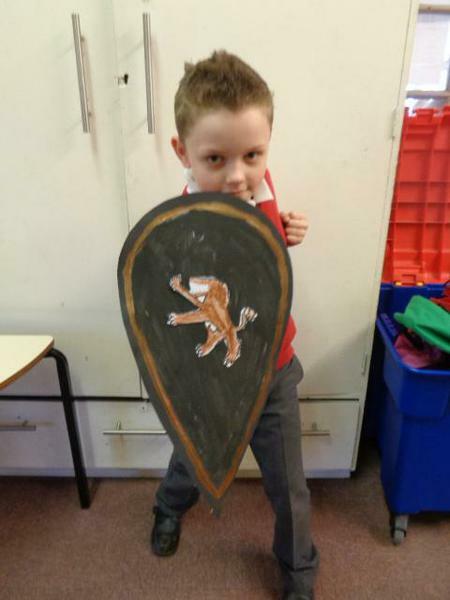 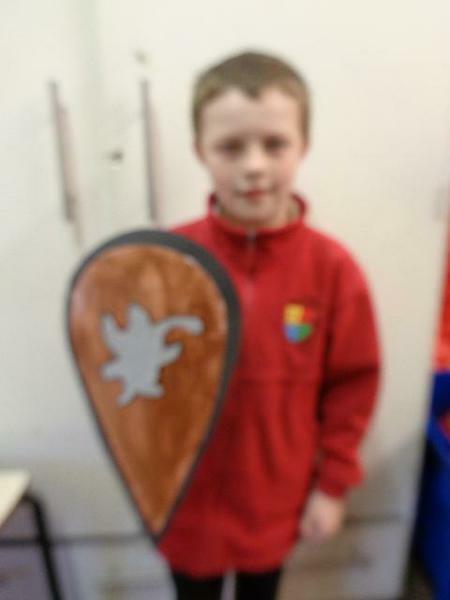 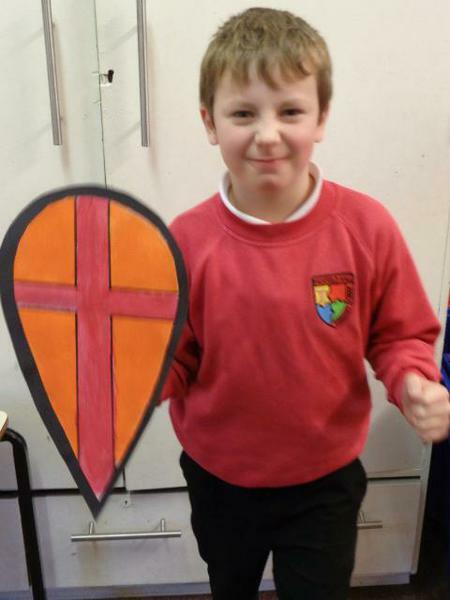 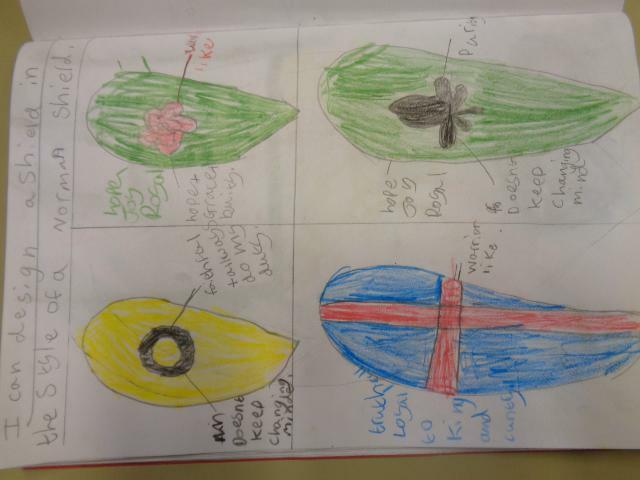 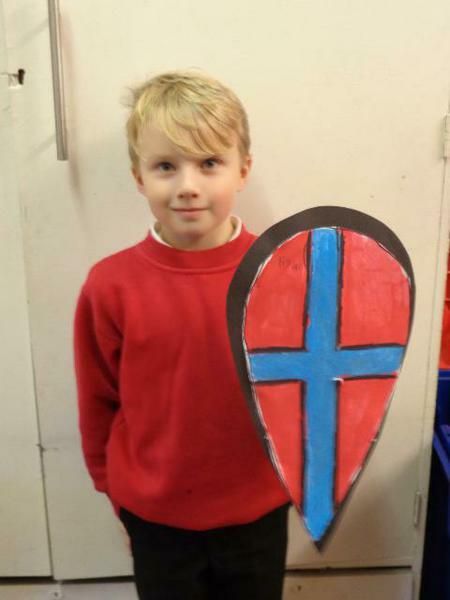 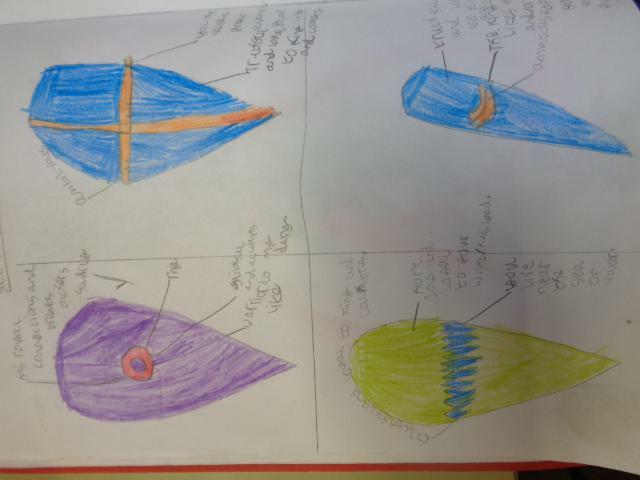 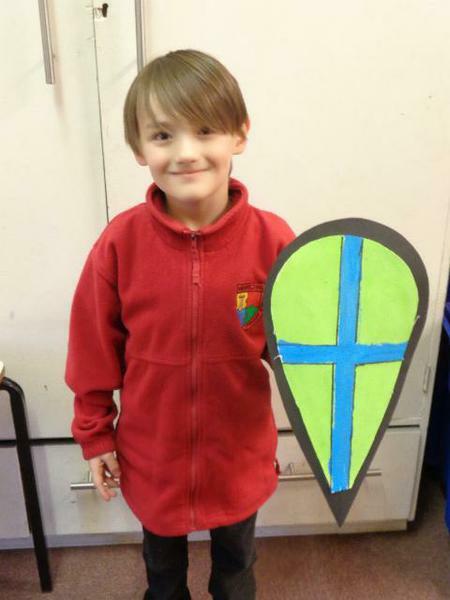 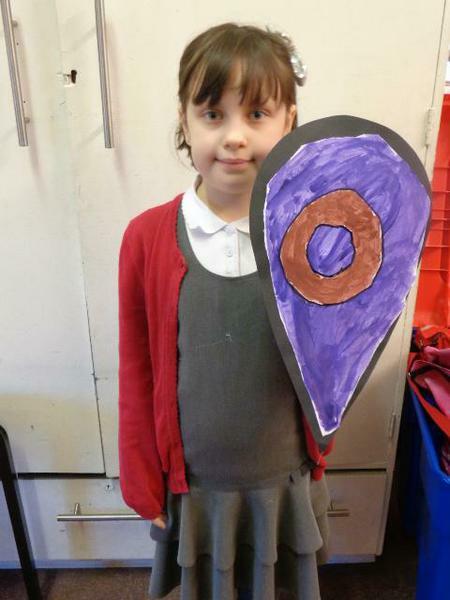 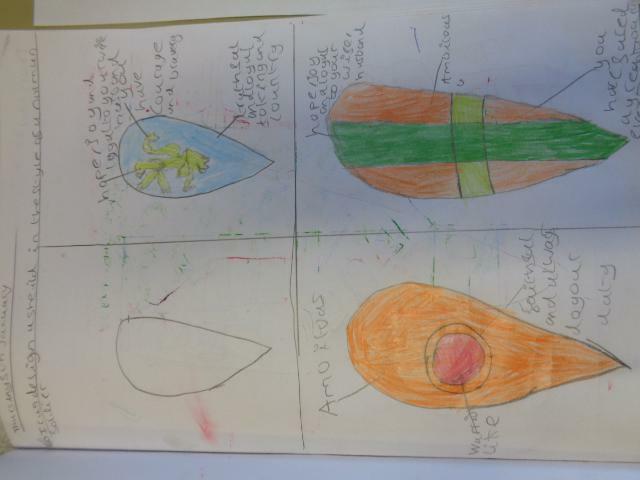 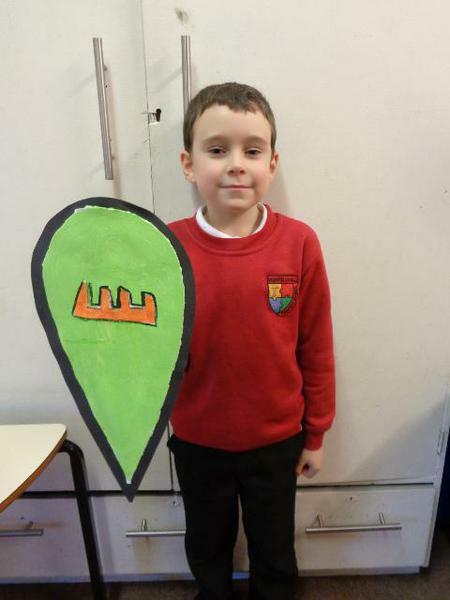 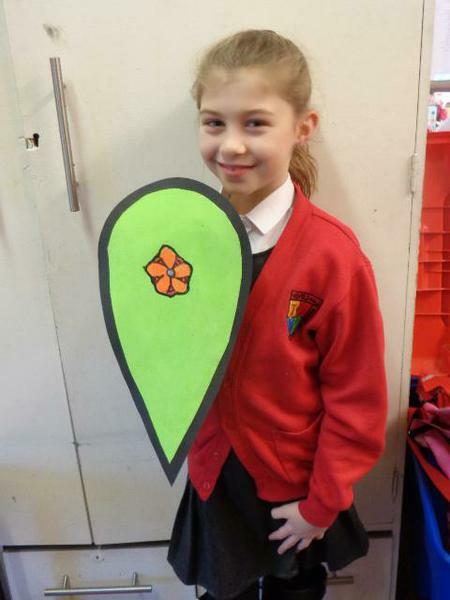 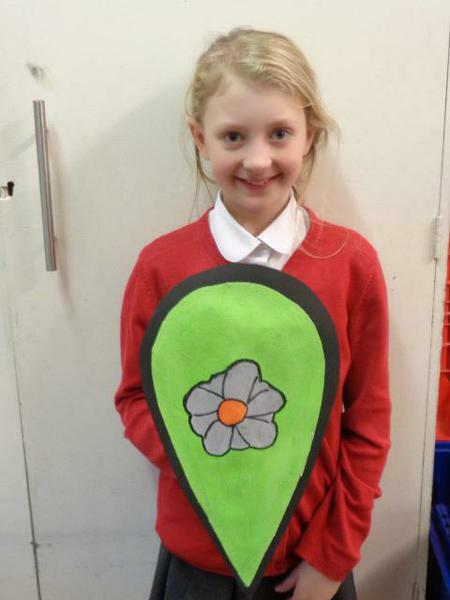 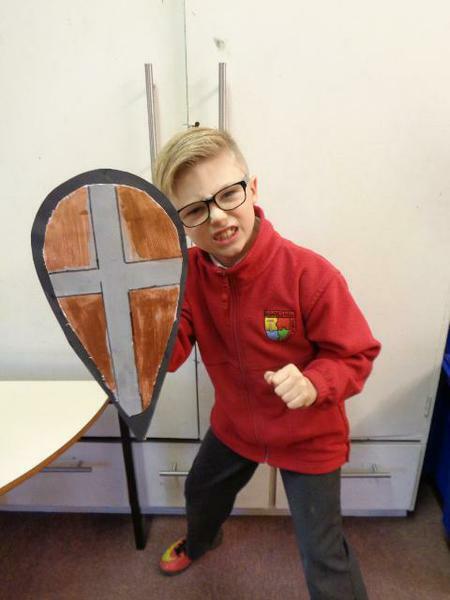 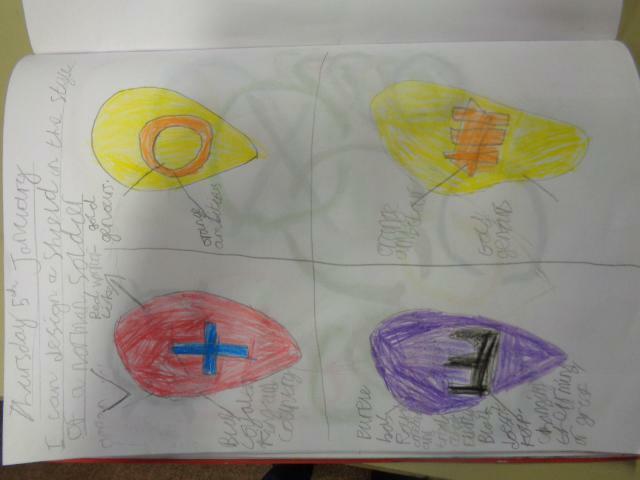 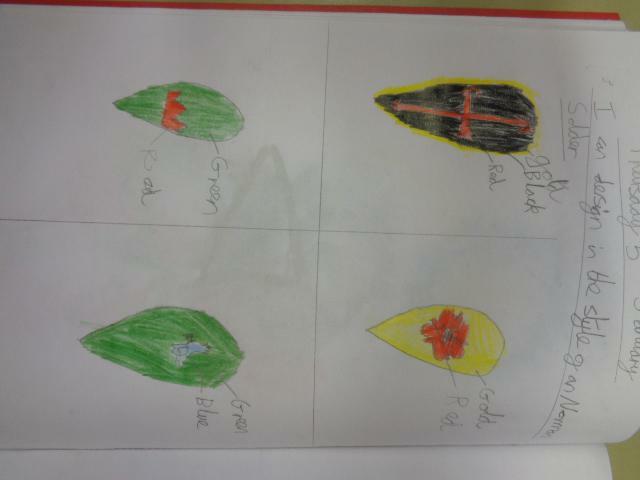 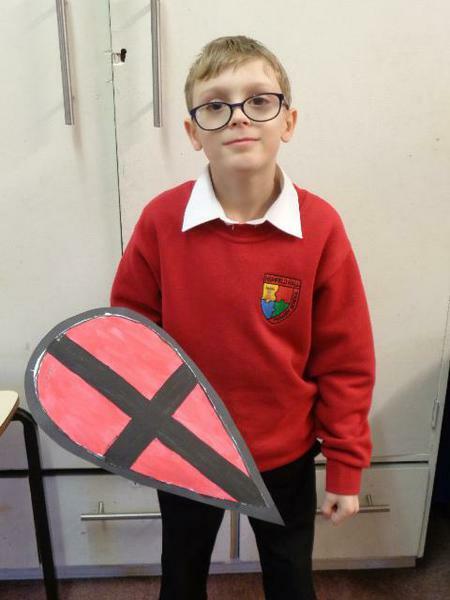 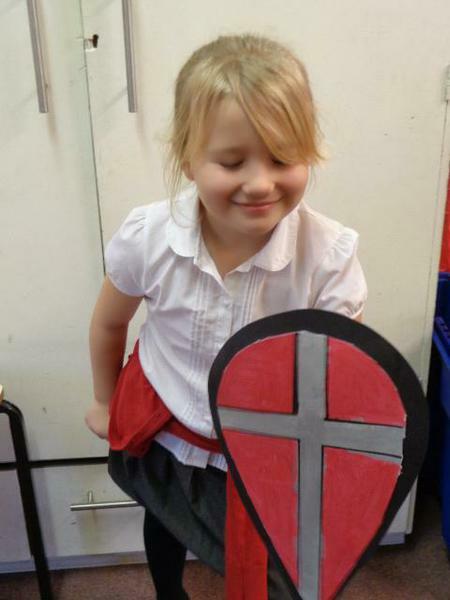 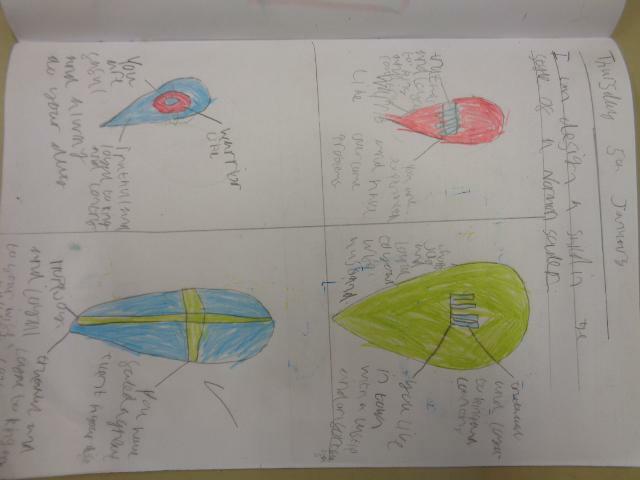 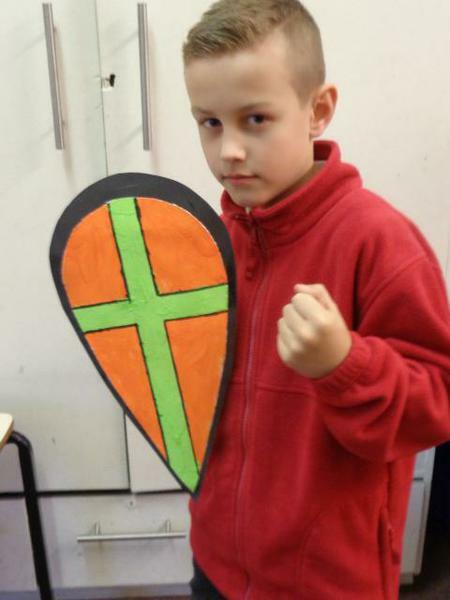 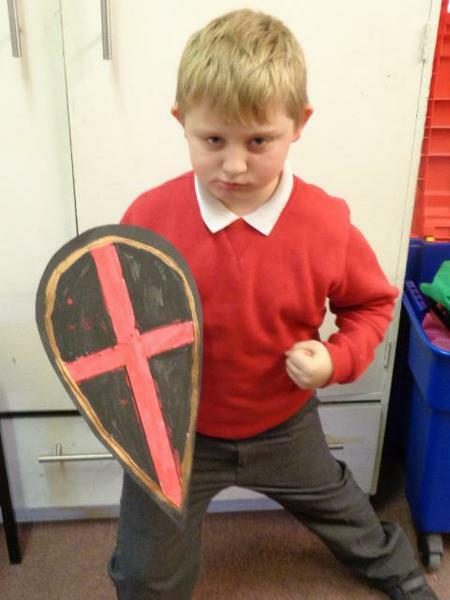 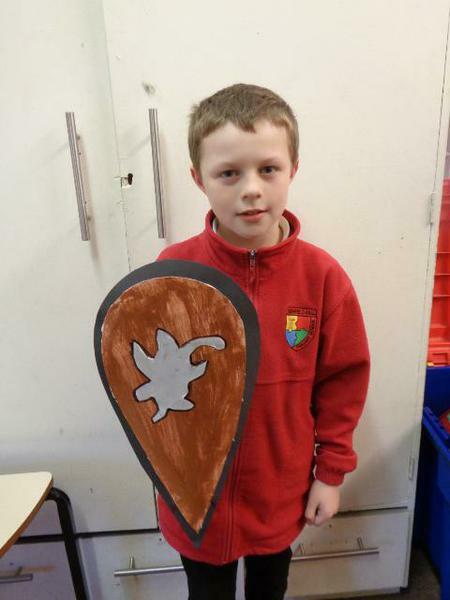 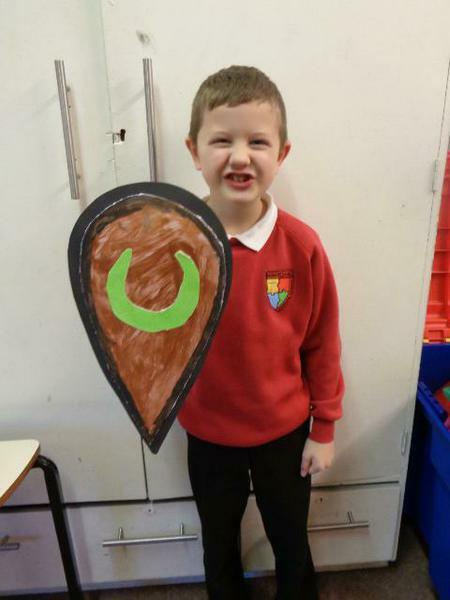 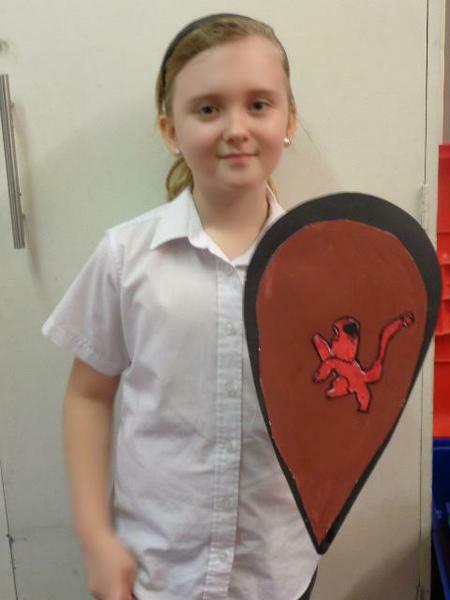 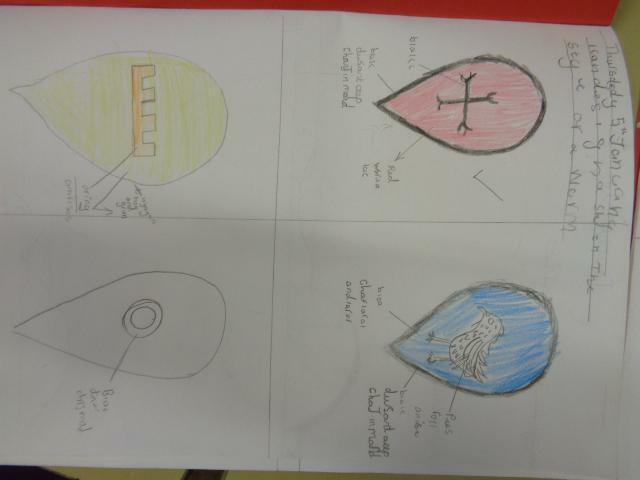 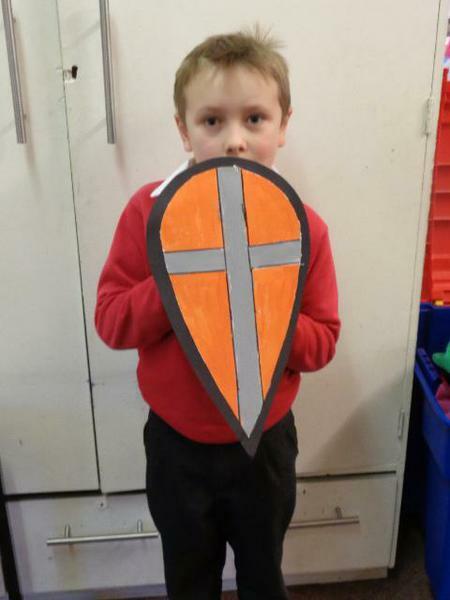 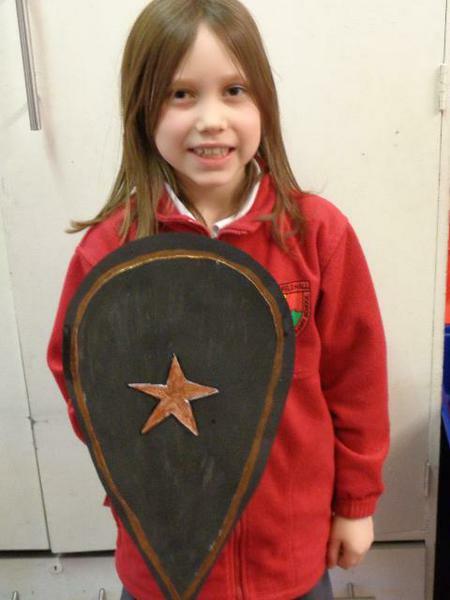 We chose our colours and symbols and designed our own shield.